Some of my favourite green lanes in Wales are down in Brechfa Forest and around that area. 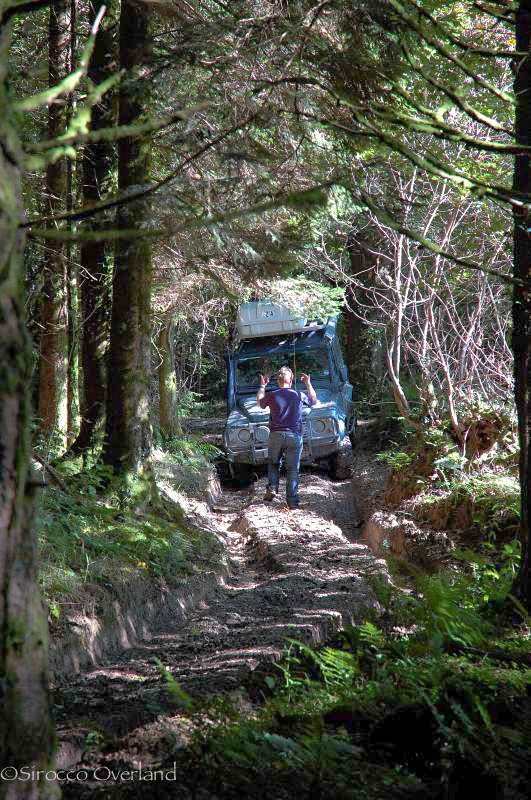 Generally heavily forested, muddy, challenging, tight and sometimes impassable. Not many people know these are here either, so your often alone in the ancient woodland which all adds to the ‘out there’ experience. I shot this as James helps guide Alex’s 90 down a muddy slope at the end of one lane. Alex was running a rather large waterproof box in front of his roof tent. After this trip he quickly remedied that! Seeing as the UK and Europe may be expecting snow this Xmas l thought a little winter scene might be in order. Back in 2007 when we had the old Land Rover 90 we took a week off work and devised a route from south to north Wales encompassing as much off pavement as we could. The forecast on the run up to our time off didn’t look favourable with plenty of rain and low temperatures. The forecast was correct and we battled our way through mud and self recoveries all alone in the Welsh countryside. Mixed in with our 4×4 plans was a walk up Cadair Idris and Snowdon. Even though it was spring, recent weather had brought the snowline down to 600m. We didn’t know the mountain particularly well, but we pressed on anyway. 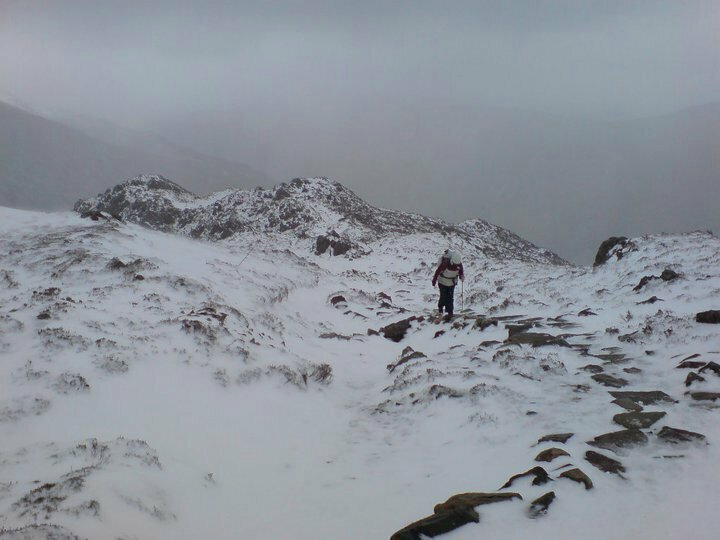 This photo is of Lisa on the south side of the cwm about 1 hour from the summit. We made it back to a sodden roof tent just before it got dark. 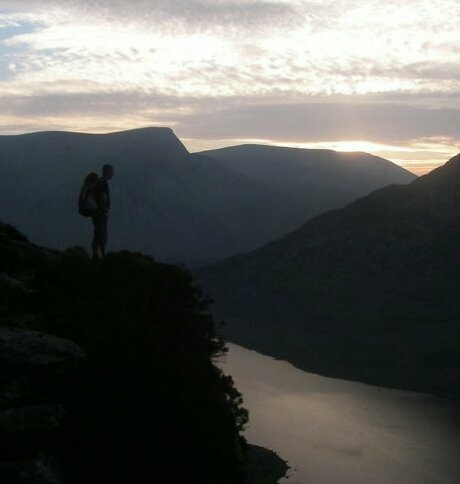 This weeks photo is taken on Tryfan in the Snowdonia Mountain Range , North Wales. It was a Friday night and we had rushed up there to pack in as much as we could that weekend. We thought we could make the summit via the north ridge and camp beyond but it quickly became dark. Not a foot of grass around for a tent we were forced to bivi with just roll mats and sleeping bags on a pointy rock ledge. Luckily the weather held and we were on the summit by seven the following morning. We then chased this up with an ascent of Crib Goch and Snowdon itself before returning home. With the Welsh Ride Thing (WRT) around the corner I have had to think seriously about the amount of riding I’m doing and what will be achievable over the nearly 3 full days. I have mapped around 12 of the way-points and initially covering a distance of approximately 110km with nearly 3000m of climbing. I have added an extra 15km loop on the last day which incorporates an additional way-point should I be feeling up to it, Its on forest track and passes a nice lake. If I can get there Sunday night I will be over the moon! A recent trip to the far west coast of Wales gave way to a beautiful sunset and one of my most enjoyable shoots in recent years. Using my D70s DSLR I pushed well into the darkness and was still getting good results with exposures ranging from 6 to 20 seconds. Probably what I consider 3 of the best shown below.